Harley Zens posted a message. We have 6 grandchildren. Matt& Jill are parents of Stratton-11 yrs, Treston 8 years, and Shaylee 5 years. Mark & Jenny are parents of Isaac 8 year, Macy and Owen 5 years. All attend John Paul II in Mitchell, SD. Marilyn Oswald Bischoff has a birthday today. Dennis Miller added a photo to his profile gallery. Dale Mowry Mowry posted a message. Terry Trippler posted a message. I saw where this DEMOCARAT (Go Trump) is having a birthday. Seriously, I sincerely hope you have had a great life to date and let's remember we are all going to 100 years old. I plan on keep working until at 100 (or better) my head will just drop over on to the keyboard and the only question is what letter will keep coming up on the screen. Lynn and I are living in Dallas, Texas with Amanda. We spent winter of 2016 in Custer, SD and it was NOT a good move. Lynn was in Rapid City hospital two times, I rolled the car and Amanda finally came up from Texas and said "you two are moving to Texas where I can take care of you. Damn that was a great idea. We have never been healthier or happier - love the weather down here. This coming weekend we are to be in the 80's. Tulips and Daffodils are up and in full bloom. Pansies every where you look. Hope to get up to a reunion within the next few years. Again, hope all has and is going well for you - even though you are a Democrat (go Trump). If you had not figured it out by now - we are Trump supporters. See you are also in Texas. Lynn and I moved to Dallas and love it. Really having a great winter this year. Hope you and Barb and your family are healthy and doing well. Susan Laufmann Jacobs changed her profile picture. 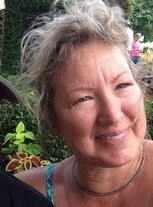 Susan Laufmann Jacobs changed her "Now" picture. Susan Laufmann Jacobs added a photo to her profile gallery.